Sitter: George Granville Sutherland-Leveson-Gower, 5th Duke of Sutherland (1888-1963). Biog: Served as Commander, R.N.R., during 1st World War; Under-Secretary of State for Air, 1922-23; Paymaster-General to H.M. Government, 1925-28; Parliamentary Under-Secretary for War, 1928-29; Lord Steward of H.M. Household, 1936-37; agriculturalist. 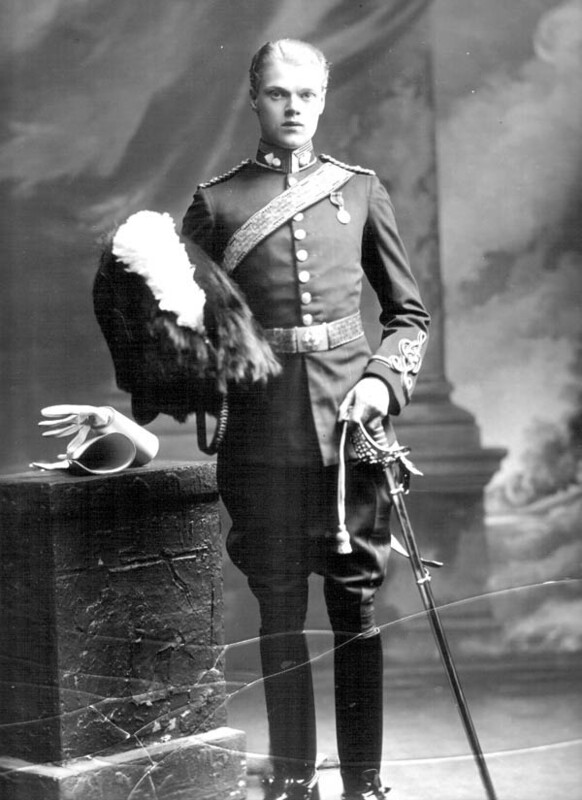 Costume: Full Dress uniform, Lieutenant, 2nd Dragoons (Royal Scots Greys). Orders, Decorations & Medals: Coronation medal, 1902. Biog: Burke's Peerage; Who's Who; Army Lists; Navy Lists; The Times, 2 February 1963, p 12a.